Acquire the skills and expertise to detect and quantify cardiac and respiratory health problems in people of all ages and pathologies, in the rewarding field of clinical physiology. 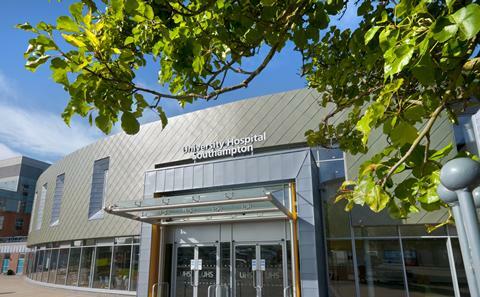 Based at University Hospital Southampton and Highfield Campus at the University, this NHS Practitioner Training Programme (PTP) offers high levels of patient interaction with its supervised practice placements and state-of-the-art learning environment. *Subject to validation by the National School of Healthcare Science and the Registration Council for Clinical Physiology early 2019. Applications now being accepted. Our BSc Healthcare Science degree can be studied over three years full-time or four years part-time. It offers a pathway to professional registration with the National School of Healthcare Science and the Registration Council for Clinical Physiologists and presents an exciting opportunity to combine science with patient care. 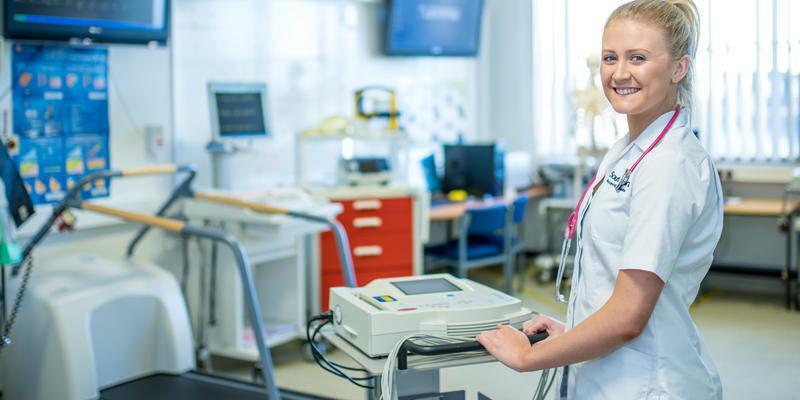 As a student on our programme you will be at the forefront of technological advances that aid the diagnosis and treatment of cardiac and respiratory conditions. You will study cardiac physiology as well as respiratory and physiology in year one before specialising in cardiac physiology in years two and three. 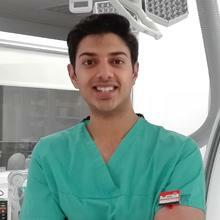 My biggest highlight was securing a job at the Barts Heart Centre when I qualified. Barts is a fantastic hospital and the largest cardiac centre in the UK. Cardiac physiology is concerned with heart function, whilst respiratory and sleep physiology concentrates on breathing difficulties and sleep disorders. During your studies you will learn how to diagnose a spectrum of health issues. Furthermore, our research groups will give you access to some of the latest scientific discoveries to strengthen your knowledge. You will undertake practical training in a dedicated skills lab at University Hospital Southampton using the latest clinical equipment to prepare you for clinical placements. 2,000 hours of placements will allow you to apply and develop your clinical skills. Practice placements tend to take place in the south central healthcare region. This programme is accredited by the National School of Healthcare Science and the Registration Council for Clinical Physiologists with whom you will be eligible to register. GCSE 5 GCSEs at grades A*-C or 4-9 including Maths, Science and English Language (or IELTS at 7.0 with no component below 7). 5 Higher Level subjects. At least 1 subject at H1 and 3 subjects at H2, including science subject. Plus English and Maths ILC Ordinary Level O4 or higher. Other Other qualifications may also be considered. Please contact healthsciences@southampton.ac.uk or 023 8059 5500 to find out more. To enrol on this course, you must meet our entry criteria. You must also have undertaken some relevant formal academic study within the past three years. Applications should be submitted through UCAS (www.ucas.com). Once you have submitted your application, the Admissions Team will review it to check that you either already meet or are on target to meet our academic entry criteria for this course. If so, your application will be passed to the Programme Admissions Tutor who will review your personal statement and reference and assess these against fixed criteria. Why do you want to be a Cardiac Physiologist? What is it about ‘your’ attitudes, values and character that makes this profession so appropriate for you? Discuss your relevant academic preparation. What have you particularly enjoyed during your studies and how do you feel this has prepared you for this degree. Discuss any particularly relevant projects/coursework you may have undertaken. Group discussion - where small groups of around 6 applicants will have 30 minutes to discuss a particular topic linked to NHS Core Values. Two assessors will monitor this discussion and you will be assessed on your contribution and your interaction with other members of the group. It will be helpful to draw on your experience during this task and hopefully interesting to hear views and opinions from others with similar interests to you. Short Interview - where you will have the opportunity to demonstrate your understanding of the role of a Healthcare Scientist and reflect on your relevant work experience. Your performance in the group activity and short interview will be considered in conjunction with details from your application to determine whether to make you an offer or reject your application. You will normally be notified of this decision within 2 weeks of attending the selection session. During the selection session you are likely to meet academic members of staff, current students and clinicians. Their thoughts and observations support the evidence you have provided on the day but be assured that all final decisions are made by the admissions tutor, who will review your whole application to enable a final decision to be made. The BSc Healthcare Science degree (NHS practitioner training programme) is delivered with a mixture of theory at our university campus and will use integrated practical training on the latest clinical equipment. Placement opportunities will predominantly be in the South Central healthcare region although students may also be placed in adjoining healthcare regions. You will undertake one of the following two physiology modules, depending on the pathway you choose. You will undertake one of the following two work based training modules, depending on the pathway you choose. Clothing Lab Coats: You will need provide yourselves with laboratory coat for use in the Centre for learning Anatomical Sciences. These can be purchased from any source. 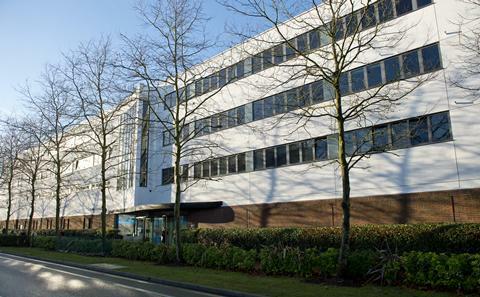 Travel Travel: Attending lectures: Lectures take place both on the Highfield Campus and at Southampton General Hospital which are separated by a distance of 2.3 miles (by road). The sites are connected by a regular bus service, or alternatively students may prefer to travel by bicycle or on foot. Placements This programme involves mandatory placements in all years. The placements are organised by the University and will take place with a range of healthcare providers; as such students will need to travel to placements/arrange accommodation. Conference expenses Travel & Accommodation: Conference attendance is not normally expected as part of the HCS programme. If you decide to attend conferences then you will normally be expected to cover the cost of accommodation, travel and admission. Our graduates work within clinical physiology departments and with multidisciplinary teams in a wide range of settings from theatre environments to outpatients. Our employability rates are excellent with 100% of our 2015/16 graduates in employment or further study (Destinations of Leavers from HE 215/16). Many of our graduates choose to extend their knowledge at postgraduate level to further advance their careers. Some also pursue clinical academic careers or go on to work in educational settings. More information about careers in Healthcare Science (NHS practitioner training programme) can be found on the NHS Careers website. Throughout this Healthcare Science degree course you will be assessed on your skills and knowledge. You will be expected to complete essays and written exams, along with practical exams. Your practice experience will also count significantly towards your final award.